In an effort to find good homes for the overabundance of wild horses and burros on public lands, the Bureau of Land Management has announced new incentives to encourage the adoptions of these animals. The new program will pay qualified adopters $1,000, broken into two payments, to help cover the expenses associated with caring for horses and burros. The idea of incentive payments for wild horse and burro adoptions has been researched by PERC scholars over the past years, and we are excited about how this program can benefit wild horses and burros, our rangelands, and taxpayers. This move comes at a time where the wild horse and burro population is more than triple the size that our public landscapes can sustain. On the range, these animals compete for water and forage with other wildlife, including at-risk species like the sage grouse. The result is that there are too many horses on too little range and many horses are facing starvation. Some wild horses and burros are taken off the range and offered up for adoption into private homes. Adoption rates, unfortunately, are not high enough to find every horse a home and more than 50,000 wild horses and burros are held in off-range facilities. It costs taxpayers nearly $50,000 to care for a horse in an off-range facility over the course of its life. The goal of the new incentive payment program is to find more wild horses and burros permanent homes while cutting taxpayer costs—investing $1,000 up front to save $50,000 over the animal’s lifetime. See below for PERC’s input on the role incentive payments can play in addressing the wild horse and burro situation. You Can’t Drag Them Away: An Economic Analysis of the Wild Horse and Burro Program by Vanessa Elizondo, Timothy Fitzgerald, and Randal R. Rucker (Journal of Agricultural and Resource Economics): An economic analysis of the wild horse and burro crisis and how incentive payments will help promote adoption and reduce costs to the Bureau of Land Management. The saga of the wild horse in America may be playing out in the New West, but it follows a well-worn theme—competition over scarce natural resources often leads to conflict. Paying ranchers, families, or other willing parties to adopt wild horses and burros is a step toward reining in the problem in the 21st century. Protecting Wild Horses Will Take a Wild Idea (Deseret News): A summary of how adoption incentive payments will benefit wild horses and burros, our rangelands, and taxpayers. A Wild Idea to Solve the Wild Horse Problem (PERC Reports): An explanation of why establishing incentive payments for wild horse and burro adoptions is a positive step in addressing the environmental and financial problems caused by an overabundance of the animals. Reining in the BLM’s Wild Horse Crisis (The Hill): An exploration of the market-based approaches needed to rein in the excess wild horses and burros in the West. You Can’t Drag Them Away (PERC Reports): An overview of how to rein in the costs of the federal government’s wild horse and burro program. 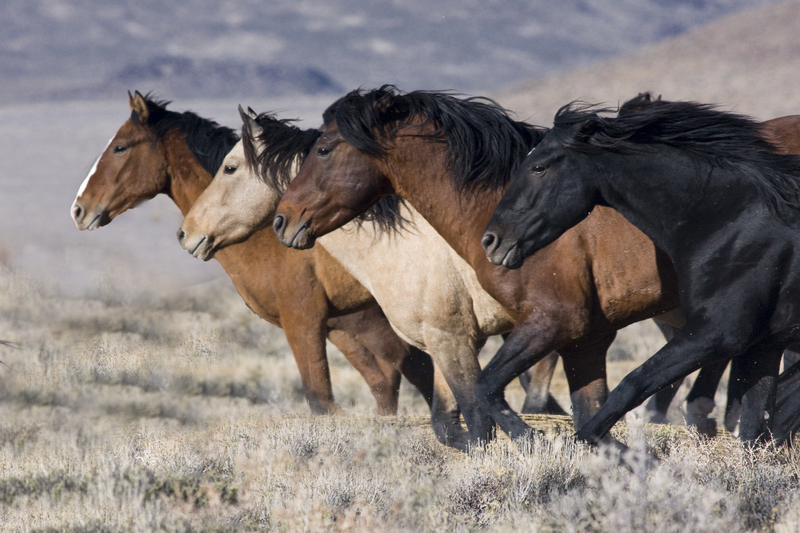 Wrangling the Wild Horse Crisis: A summary of the challenges associated with wild horse and burro management and potential solutions.